Baby Changing Mats - Make Nappy Time a Happy Time! Every day, several times a day, is nappy day when you’re a new parent or guardian and, even the best of us will admit it, changing the little one can become a bit of a chore. Turn it into fabulous fun and brighten up both your own and baby’s day with the magical collection of changing mats available now from Baby Mattresses Online! We all went gaga for George and cooed over Charlotte, the new royal prince and princess. 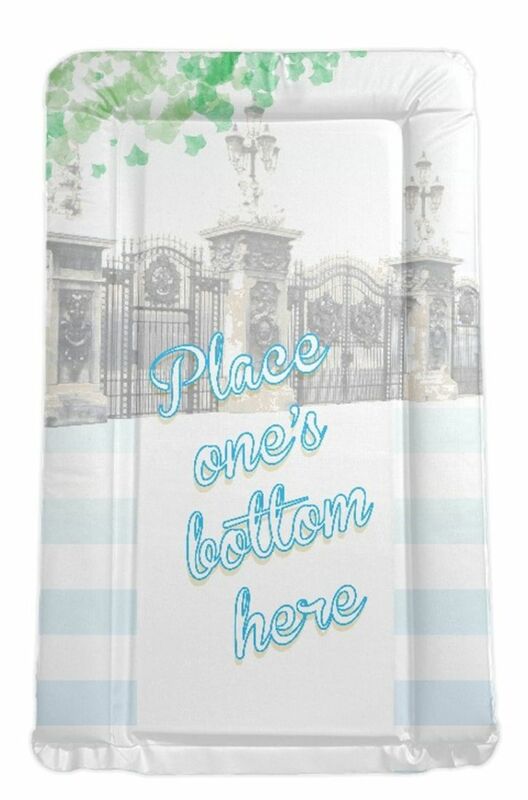 Now you and your baby can also live the royal dream with these gorgeous changing mats that, formed from soft padding with a wipe-clean PVC cover, cheekily invite baby to ‘Place One’s Bottom Here’. Choose from pink or blue to suit your own little aristocrat and start looking forward to luxury! Ok, so it’s months till Christmas! When we first saw this gorgeous design, however, we immediately fell in love with it and we are sure that you will too when you see its extraordinary cuteness. 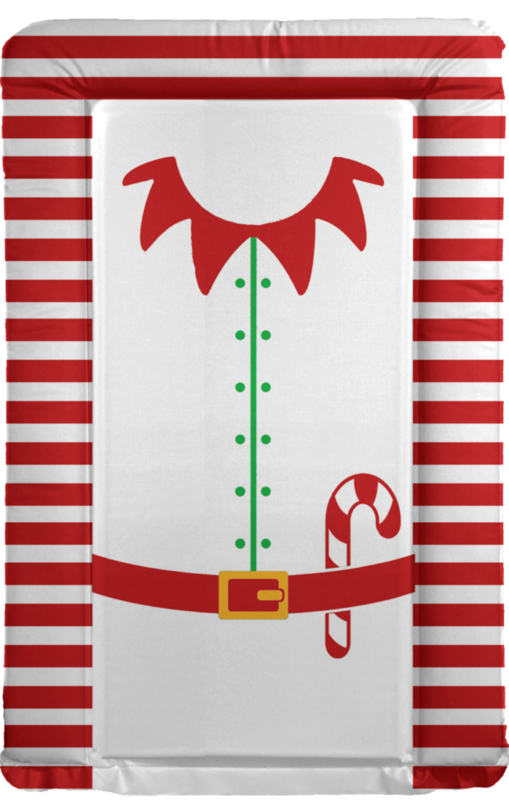 Rendered in bright red and white with gold and green detail, this elf-themed changing mat also features a candy-cane to sweeten the deal. This baby changing mat will make a great gift - why not buy early and save yourself a shopping trip? The hit TV drama series from the USA has been a talking-point since it first began and became a legend before ending recently, leaving fans aching for more. 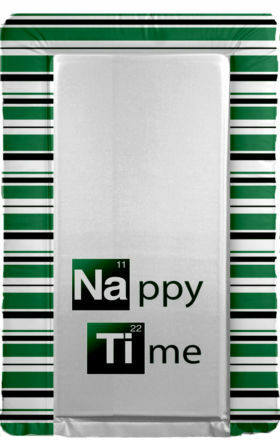 With a groundbreaking visual style that has been hugely influential, Breaking Bad has a legion of fans and the font used in the show’s iconic title has been used to create this baby changing mat. 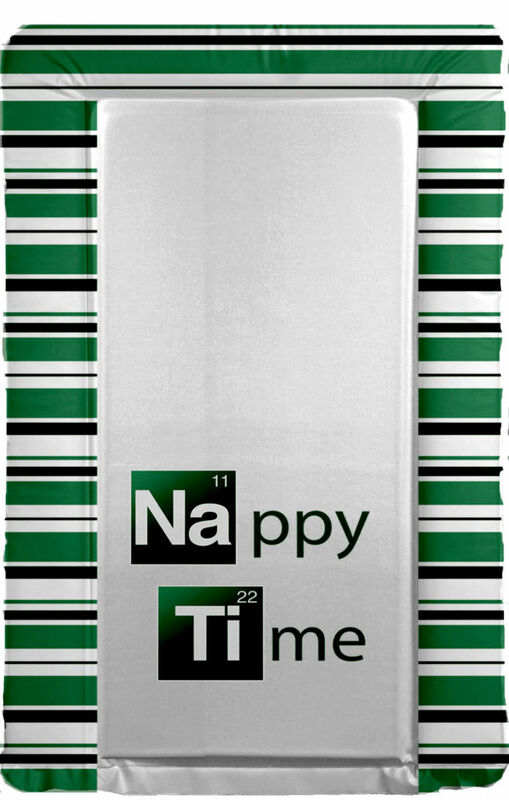 Emblazoned across the mat are the words ‘Nappy Time’, while the soft, raised safety edges are printed with vivid green and black stripes. 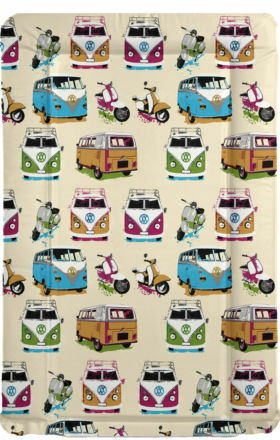 Bring some retro style to changing time with this mat, which features an exquisitely-rendered collection of classic vehicles. A perfect nursery item for the summer, the Campers & Mopeds changing mat from Baby Mattresses Online reminds us of fun and frolics at the festivals! 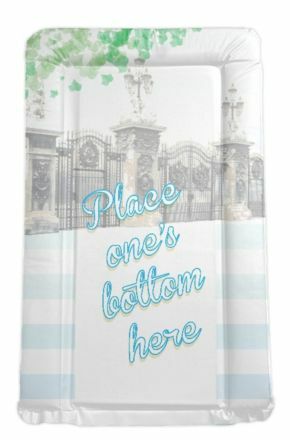 We also have lots of other options available, from our anti-roll changing mat to made-to-measure designs, which can be supplied in a wide range of colours and patterns. Call our team to discuss your bespoke requirements.